The candidate is expected to work in a digital RTL design & verification team responsible for delivering IPs for mixed signal ASICs. The job includes design and verification of digital modules used in Mixed signal IPs. The typical modules can be Digital filters (FIR/IIR), Communication protocols e.g.. SPI, CAN etc. Digital Fundamentals, Expertise in VHDL. In addition, Desirable to have worked on post silicon debug, should be a team player & willing to travel outside India for extended period. 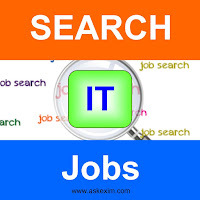 Or Send your resume to JOBS@ASKEXIM.IN with subject line “ASIC-DIGITAL"